News stories, journal articles, newsletters, recipes — all things we read in an average week. Of course we might also delve into the latest YA novel before bed, but much of what we read on a daily basis falls into the category of informational or nonfiction text. The authors of the Common Core State Standards recognized the need for increased exposure to nonfiction texts to prepare students to analyze, compare and synthesize ideas found in the types of materials they’ll be reading in the upper grades, in college and beyond. The standards emphasize literacy instruction across all subjects, offering educators and students a wide range of topics from which to choose. Nonfiction texts are often filled with amazing facts and details that evoke wonder, reflection and creativity. Try these 6 library displays and activities to help you teach, inspire and challenge your students to head straight for the nonfiction section. Did You Know? Bulletin Board — Create a bulletin board that features interesting facts culled from books in your collection. For example, Ants can carry objects up to 50 times their own body weight. Beneath each fact write, “Find out more in ____,” and post a copy of the book cover of the book in your collection from which you pulled the fact. Provide slips of paper and challenge students to add their own interesting facts to the bulletin board, as well as the sources where they found them. After several weeks, vote on which fact the students found most interesting and graph the results. Animal Word Clouds — Allow students to choose nonfiction books about animals they are interested in. While reading a nonfiction book about a specific animal, have students jot down words or phrases that describe the animal. For example, “Bats: nocturnal, echolocation, flying mammal, all continents except Antarctica, vampire, brown bat, hibernation, migration,” and so on. Then, have students use these words to create a Wordle word cloud. Save and print each Wordle and display them with each student’s name and the title and author of the book that inspired the word cloud. It Doesn’t Have to be Fiction to Be … — Create a book display with signs that say, It doesn’t have to be fiction to be SCARY (HAIR-RAISING, AWESOME, MAGICAL, etc.). Next to each sign, place a corresponding nonfiction book from your collection. For example, for the SCARY sign, place a book with an open shark’s mouth on the cover. Inspiring Visuals — National Geographic Kids features short, engaging videos designed to inform and intrigue young viewers. 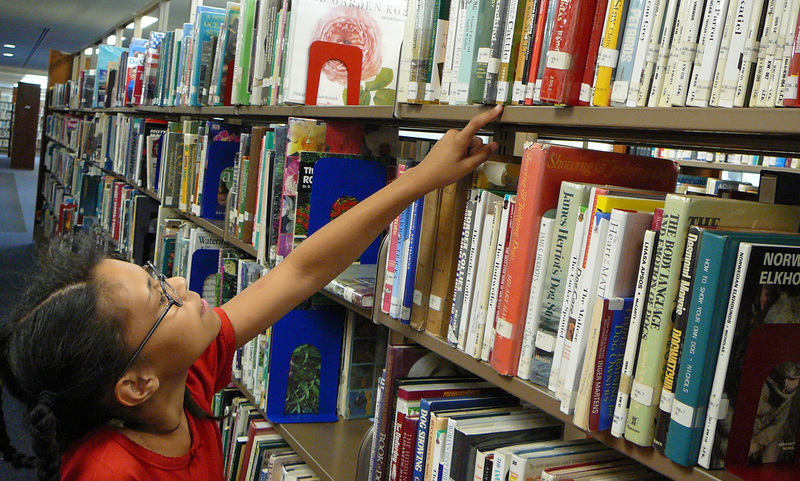 Choose a video to start each library visit and gather a selection of books about the topic. As students enter the library, tell them you have something fascinating to show them. Play the video you’ve chosen. Afterward, ask them to tell you what they saw and heard, keeping track of their comments. Follow up by asking them what the video made them wonder about. What questions did they have after watching it? 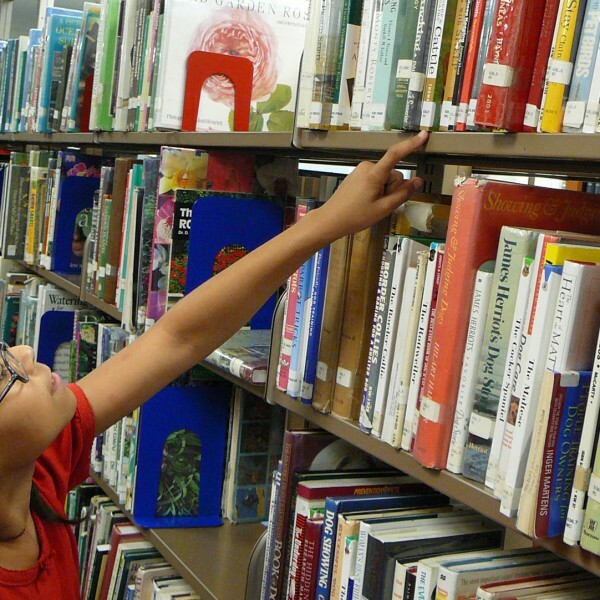 Model your own wonderment aloud for students: “I wonder how monarch butterflies know to migrate to the same mountaintop every year for hundreds of years.” Then, allow students to browse the selection of books you’ve gathered on the topic. Mini Books — Collaborate with your building’s art teacher, and inspire your students to make unique, creative and informative mini books on a timely topic. This activity offers opportunities to teach summarizing, paraphrasing and citing sources. Have students choose a topic, such as anti-bullying, presidents or an upcoming holiday, and help them select appropriate books on the topic. Then, have them create mini-books with facts culled from their sources. For example, they might make a book about Abe Lincoln shaped like a top hat for Presidents’ Day. Remind students to include source lists at the end of their books. Nonfiction Challenge: Kids vs. Teachers — Create a display divided vertically down the middle, and label it “Nonfiction Challenge.” Label one column “Staff” and the other column “Students.” Challenge the students in your building to read more nonfiction titles than the staff (teachers, principal, custodians, cafeteria staff, etc.) by a set date. Leave a stack of sticky notes next to your display and have students and staff write their names and the titles and authors of the books they read each time they finish a book. (Tip: Use one color sticky note for teachers and a different color for students.) Give weekly loudspeaker updates to build excitement and motivate readers. Celebrate the students’ win (of course) with bookmarks and stickers, and plan an outdoor game day as a fun reward.